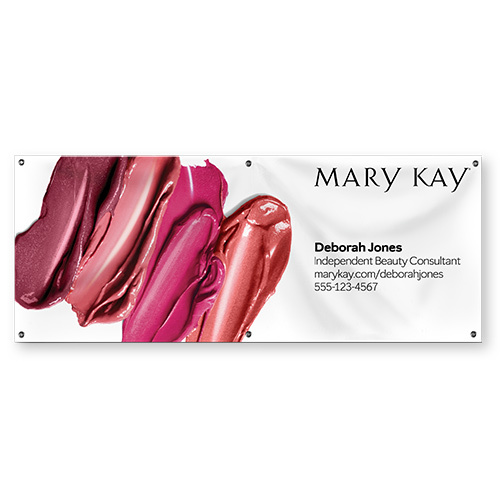 Bring attention to your Mary Kay business with a personalized hanging banner. The banner features beautiful Mary Kay products, along with the Mary Kay logo. With up to 4 lines of your contact information, your contact information will be easily noticed. Includes 6 heavy-duty grommets for easy display. Made of polyester, spot clean.